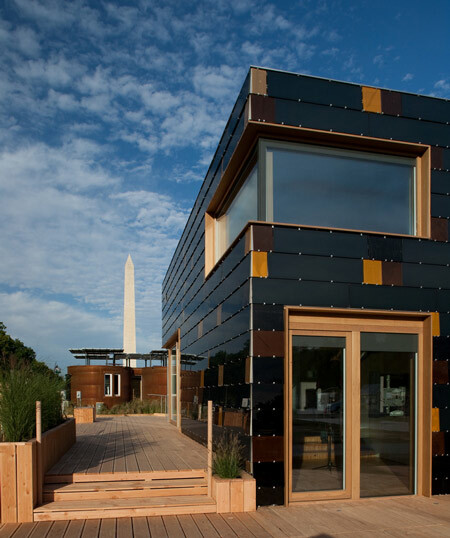 This year’s Solar Decathlon was won by the German team. And while I’m a bit sad that the University of Minnesota Team didn’t get the big prize (5th is still impressive), there is no denying the pretty of this building. And it’s not just about the pretty. It’s efficient too! Big contractors and developers could learn a thing or two from these college and university students. The image comes from Dezeen. You can see and learn more here. This entry was posted on Sunday, October 18th, 2009 at 11:40 am	and is filed under Main. You can follow any responses to this entry through the RSS 2.0 feed. You can skip to the end and leave a response. Pinging is currently not allowed.